Cortland Art Galleries, Gallery, Exhibits, Studios, and Area Artisits and Art. Here you can find out the latest of her exhibits and others details you wish to discover about this artist. David Beale, a Cortland resident, has won acceptance into the prestigious American Juried Art Salon's 2007 Spring/Summer show. 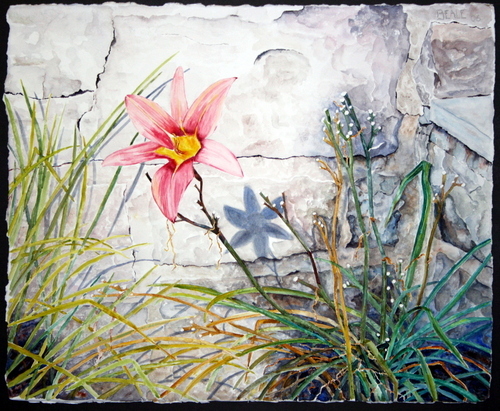 Two works of the artist were accepted, both in the Watercolor division. They are "Last Blossom” and “After Midnight.” The art can be viewed at www.artjury.com, the website of The American Juried Art Salon. The link is at the upper right of the opening page. The twice-a-year competition attracts entries from throughout Europe and North America. Jurists are well known college and university art professors in the U.S. and Canada. The American Juried Art Salons' Board of Jurists is composed of highly regarded art professors and major gallery directors in North America, many of whom have made important and lasting contributions to modern day art. At least four board members jury each exhibition, depending on the number of entries. Jurying is done on a rotating basis. A display of Kathie’s photographs and note cards can also be seen in the shop’s gallery, as well as examples of her new dramatic collage series based on original photographs. A selection of her work is on exhibit at Linani’s Cookie Factory at 5 South Main St. in Homer through the winter months. She recently received a NYSCA DEC grant to create a series of photographs of local cemeteries which will be featured at the Center for the Arts in Homer next October. A group of her matted photographs are available for $25 as part of The Picture House’s Smaller Works Special. David currently has a selection of his original watercolors on view at Carbon Copies at 87 Main St. in downtown Cortland and at Audiology Consultants of Cortland at 9 Church St. He also has a small select group available at the Delavan Gallery located at 501 East Fayette St. in Syracuse. 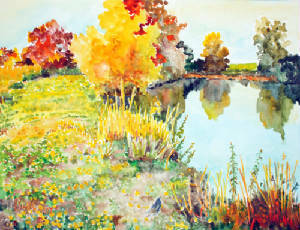 David had three paintings selected into the National Juried Art Salon, an international online exhibit, during 2006. David has 8 ½ by 11 prints available of many of his paintings, archivally matted, on sale for $15 each. 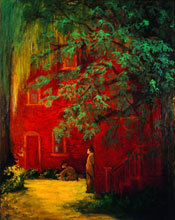 Many of his paintings, including the SPECIAL series, can be viewed online at www.davidbealeartist.com. An attractive group of 11 by 14 pre-made frames is available for just $10 each for framing the paintings and photographs by the Beales included in the Wonders of Winter Special. In addition to traditional framing, The Picture House Frame Shop regularly frames unique items such as historical documents, sports memorabilia, collections, needlework and diplomas, always keeping preservation concerns in mind. Be sure to clip The Picture House coupon from the CAT Community Coupon page in this issue to receive a free print with a framing job over $50!